It might be the smallest SUV in its line-up but the Audi RS Q3 gets a new 362bhp engine to boost what are already impressive performance levels. 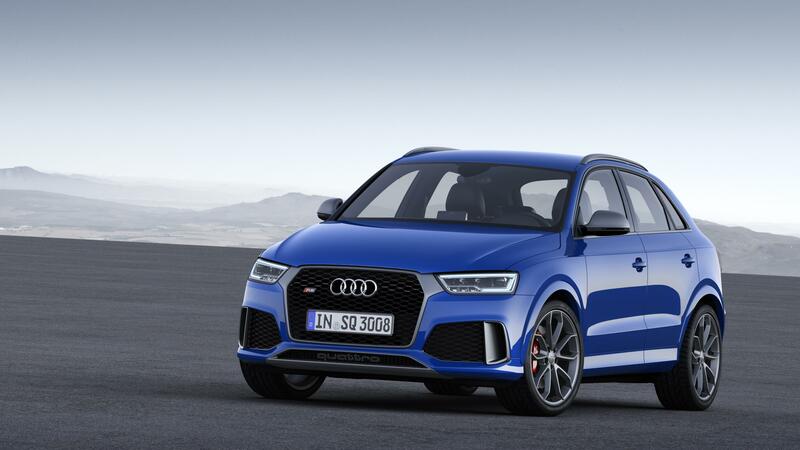 Called the Audi RS Q3 Performance, the car joins the RS 6 and RS 7 Performance variants with the idea being that the car has better performance than the ‘standard’ RS models. The new model has a top speed of 167mph from the 2.5 litre TFSI unit – hailed as the international engine of the year – and will sprint from 0 to 62 mph in just 4.4 seconds. The standard Audi RS Q3 will cover the same distance in 4.8 seconds. Drivers should expect economy for the Audi RS Q3 Performance of around 33 mpg with emissions of 203g/km – quite impressive considering the level of performance on offer. Its smooth acceleration is supported by Audi’s seven speed S tronic gearbox which has tight ratios to help complement the engine’s performance. To help keep the new more powerful Audi RS Q3 on the road, it has quattro all-wheel drive working permanently to help boost grip. There’s also electronic stabilisation control on board. Among the exterior tweaks to help make it look distinctive, Audi has altered the bumpers, the rear diffuser and added a gloss black honeycomb grille. The Audi RS Q3 also comes with a slew of equipment enhancements to help it looked distinctive from its siblings. Equipment includes privacy glass, front seat heating, powered tailgate, LED daytime running lights, satnav as well as parking sensors. There’s also the firm’s ‘Music Interface’ with an impressive on-board sound system. Comfort levels are also high and the car offers a great performance – it certainly deserves its ‘Performance’ moniker. Priced at £49,000 the new car will make its debut in March at the Geneva motor show. It’s available to order now, with a premium of £3,400 over the standard Audi RS Q3 and drivers can expect deliveries to begin in spring. 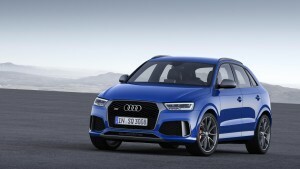 This entry was posted in Car Leasing, Cars, Crossover Cars, Performance Car and tagged Audi RS Q3 by Steve Lumley. Bookmark the permalink.